Visiting the Louvre at night is perhaps the best time to see the iconic museum. Foot traffic is reduced and the museum takes on a unique ambiance after dark. It’s a great option for date-night or just something different to do after work. If you come on the right night you can even take in a concert at the Louvre’s impressive auditorium. Combine your night time visit to the Louvre with a shopping excursion and an apéro and you’ve got the makings a perfect Parisian day. After the museum is closed, head out into the night and do it up at one of the the best hidden cocktails bars in Paris or the best of Parisian nightclubs in the Louvre’s surrounding neighborhood. For all this and more INSIDR has got you covered! Read on to enjoy you visit to the Louvre at night at its best. 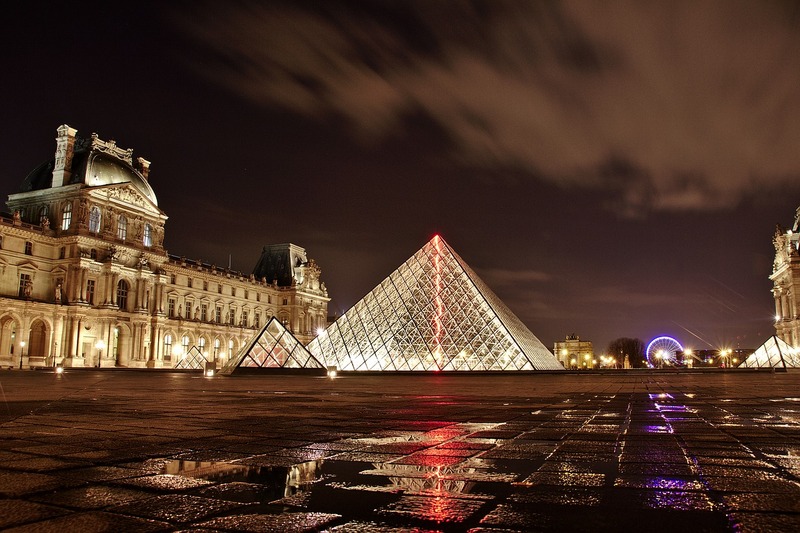 The Louvre holds night-time visiting hours twice a week on Wednesday and Friday nights. Apart from first thing in the morning, this is the quietest time to visit the Louvre. The calmed atmosphere will allow you to take your time as you make your way through the museum’s vast collections. This is a particularly great time to visit the Louvre if you’re keen on seeing its most popular exhibits. During regular hours, pieces like the Mona Lisa are usually swarmed by crowds of tourists, meaning you’re unlikely to get facetime with Da Vinci’s mystery lady unless you’re ready to elbow your way up to the front. After dark, the Louvre takes on a new ambiance. The pyramid is lit up and the surrounding courtyard becomes a lively meeting ground for locals and tourists alike. On Fridays you’re likely to find more than one person with an open bottle of wine getting ready for a night out. Inside, the Louvre takes on a distinct charm. Statues are lit up, and appear even more dramatic. Visitors wander through the galleries at leisure, saved from the usual bustle of the museum during the daytime. This is also definitely the most romantic time to visit the museum. Bring a date and enjoy the evening ambiance of the Louvre’s beautiful galleries. For more idea of how to plan for the perfect romantic trip in Paris check our top romantic spots in Paris list! If you’re planning on visiting the Louvre at night, we recommend grabbing a ticket to one of the Louvre’s evening concerts. Every Wednesday night the museum offers a selection of chamber music. Friday nights are reserved for the best of classical music as well as feature performances from contemporary composers. This is another great option for date night and is sure to impress your special someone. Learn more about where to listen to live music in Paris. Established in 2002, Paris’s annual Nuit Blanche offers the public a unique evening of arts and culture. Once a year, Nuit Blanche takes over some of Paris’s most well-known locations, transforming Parisian landmarks into breathtaking art venues. On this night you can find various performances and installations taking place across the city with a changing program every year. This year’s Nuit Blanche will take place at various locations around Paris on the evening of October 5th. For a full schedule and list of events, check out the Paris info website! 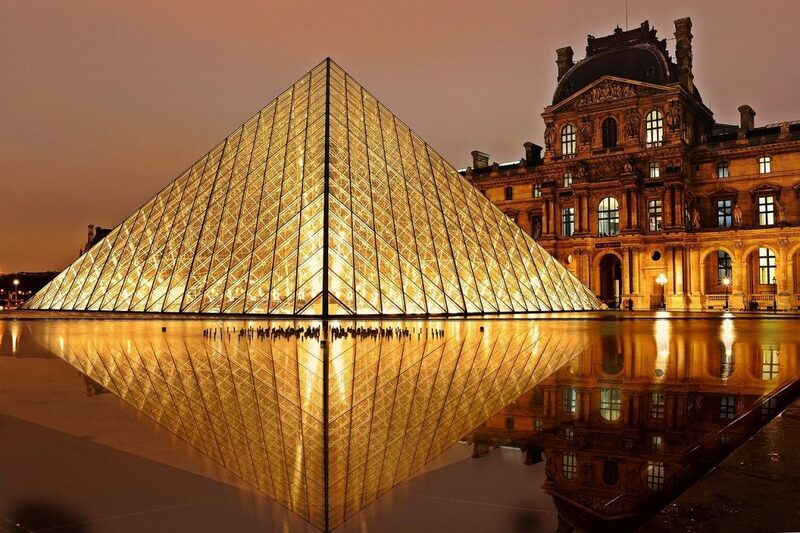 When visiting the Louvre at night, there are a few collections you will absolutely want to include in your itinerary. The Greek collections, spread across several rooms of the museum’s Sully Wing and into the Denon Wing, contain some of the world’s most-renowned Greek sculptures-a must see for any visitor. Here you will find the famous Venus de Milo (Room 345, Sully Wing) and the Victory of Samothrace landing on the spacious 1st floor of the Denon wing. Spread throughout the Richelieu and Denon wings, the Louvre’s almost 200-piece collection of Italian masterpieces is one of the museum’s best attractions. Included in the collection is the famous Mona Lisa as well as works by Botticelli and the famed ‘Wedding at Cana’ by Paolo Veronese. The Italian collection includes works from the Renaissance as well as works from other periods and artistic movements throughout Italian history. In the Richelieu Wing you’ll find the Louvre’s French collection that houses a variety of works produced over a 500 year span between 1350 and 1850. Popular within the French collection are works by Rousseau, Nicolas Poussin, Élisabeth Vigée Le Brun, and Eugène Delacroix. Here you can see French masterpieces like Delacroix’s ‘The Death of Ophelia’ next to portraits of French nobility and royalty like Louis XIII by Jean Limosin. Check out of guide of visiting the Louvre for more informations. If you’re planning to visit the Louvre at night and want to get in some shopping beforehand, we recommend checking out Carrousel du Louvre. At Carrousel du Louvre you’ll find a variety of stores like Fragonard and Jo Malone perfumes, the french classics Maje and Sandro, and some American favorites like Tommy Hilfiger and Pandora. Carrousel de Louvre also has a welcome desk with multilingual speaking assistants whom you can ask recommendations from so you can plan a night out the town. Don’t forget that purchases made inside the shopping mall that reach €175.01 qualify you for a tax refund which you can do on-site! Before you head inside to see the collections, stop for a picnic and an early-evening photoshoot at the Jardin du Palais Royal. Only a couple blocks north of the Louvre, the Jardin du Palais Royal is one of Paris’s more elegant and romantic gardens. The large fountain in the garden’s center is the perfect place to stop before dinner and snap a few vacation pics. Here you’ll also enjoy a great exterior view of the Palais Royal. The garden also features several sculpture installations that rival even those housed inside the Louvre. If you’re interested in the Louvre’s Egyptian collections, combine your visit with a trip to the nearby Luxor Obelisk in Place de la Concorde. The Obelisk is over 3000 years old and was brought to Paris in 1833 as a gift from the Ruler of Ottoman Egypt. Once you’re done snapping pics and reading the hyroglifics, make your way to the museum through the Tuileries or along the neighboring Seine. It’s a quick walk that takes you through the most picturesque area of the 1st arrondissement. If you want to grab a bite to eat before beggining your night visit at the Louvre, the Marais neighborhood situated close by in the 3rd arrondisment has a great selecting of small cafes and restaurants. This neighborhood was once occupied by Paris’s artistocracy and still maintains its old-world charm. Baffo on Rue Pecquay serves modern Italian dishes paired with classic cocktails. The very cozy and highly-esteemed Les Enfants Rouges on Rue de Beauce does modern French cuisine with flair. The restaurant seats less than 50 people at a time and is always busy so make sure you get a reservation otherwise you’ll end up sitting at the bar. For casual fare Le Ruisseau on Rue Rambuteau deals exclusively in hamburgers and receives consistently great reviews. 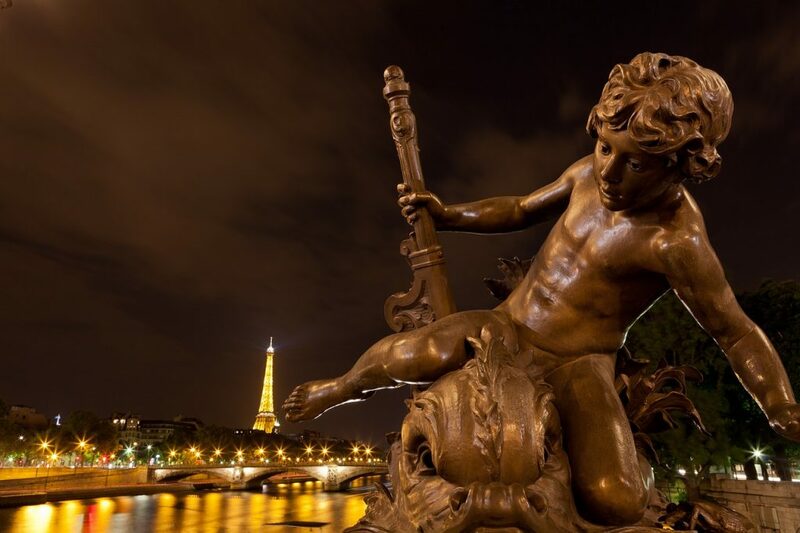 Once you’ve finished taking in the Louvre at night, make your way outside and over to the Quai de François Mitterrand to see the bridges of the Seine. At night the bridges are lit from below bringing the stonework into full relief. Closest to the Louvre are Pont du Carrousel, Pont des Arts and Pont Neuf which will take you onto Île de la Cité. Each bridge has its own unique style and all are definitely worth seeing. Discover all about the most beautiful bridges in Paris. Paris has long been regarded as a global center for great jazz music. After visiting the Louvre at night, you can head to one of Paris’s fantastic jazz clubs. Nearby in the 1st arrondissement is Duc des Lombards (42 Rue des Lombards) that features a rotating program of regular and featured performers. Another nearby favorite is Sunset Sunside (60 Rue des Lombards), an intimate venue where you can see jazz performed in one of Paris’s famous caves, ancient wine cellars that have been repurposed into commercial space for restaurants and nightlife venues. For more info on the best jazz Paris has to offer, check out our guide to the best jazz bars in Paris! If you’re in need of a drink after your visit, you’re in luck. The 1st arrondissement is home to many fantastic hidden cocktail bars. We love Danico, a little gem hidden behind parent restaurant Daroco at 6 Rue Vivienne in the 2nd. For an elevated cocktail experience, we recommend Moonshiner, a cocktail bar tucked into the back of a Pizzeria that will transport you to Paris’s Jazz Age. Another hidden bar we love is Baranaan, an indian-style cocktail bar concealed inside an old train car. More secret spot to grab a drink can be found on our full list of the best hidden cocktail bars in Paris. For a late night dinner near the Louvre that won’t break the bank, Au Pied a Cochon at 6 Rue Coquillière has been serving French staples since 1946. This is a truly Parisian restaurant with the decor to match. French classics like onion soup and seared scallops are the restaurant’s speciality along with their extensive wine list. It’s also open 24 hours a day so it’s the perfect place for late night eats. Also within walking distance of the Louvre and open until 11:00 p.m. is The Petit Mâchon. This cozy restaurant is another Paris favorite with consistently great reviews from visitors. Even more amazing late-night restaurants are your’s to discovered with our list of top late night places to eat in Paris. There are three main entrances that admit visitors to the Louvre. The main entrance to the Louvre is at the glass pyramid in the museum’s Cour carrée (Court Square). Passage Richelieu admits tour groups and visitors with Louvre Museum memberships. In the Carrousel du Louvre there is another entrance that is always less busy than the above-ground entry points. We highly recommend to enter the Louvre by Carrousel du Louvre. All the details about the best entrances to the Louvre here. To purchase tickets to visit the Louvre at night, visit the Louvre’s official website or use Tiqets.com to have your tickets sent straight to your smartphone. If you have the Paris Museum Pass, you’ll get priority access to the museum during night time hours. Whatever method you choose, always buy your tickets in advance to avoid spending an hour or more waiting in line to buy your tickets at the door. 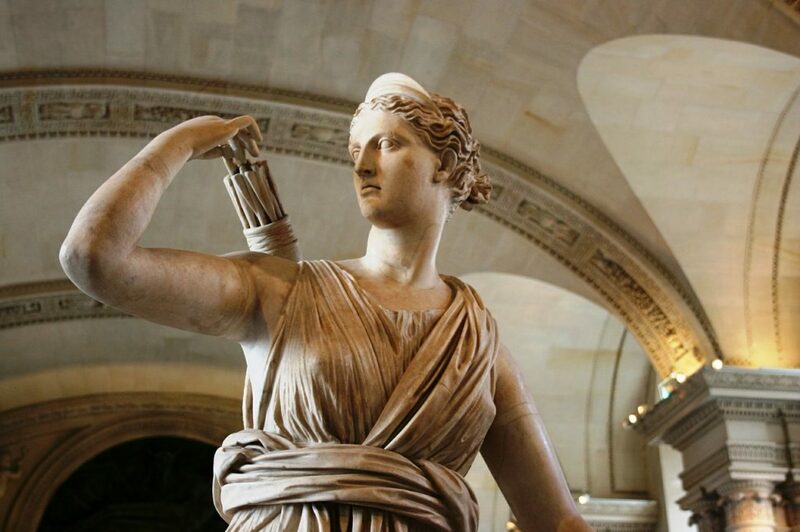 The Louvre museum in Paris is open from 9:00 a.m. to 6:00 p.m. Monday, Thursday, Saturday and Sunday. Ticket sales close at 5:00 p.m. on these days. The Louvre is open for evening visits on Wednesday and Fridays every week until 9:45 p.m. The Louvre is closed every Tuesday and three times a year on January 1, May 1, and Christmas day. 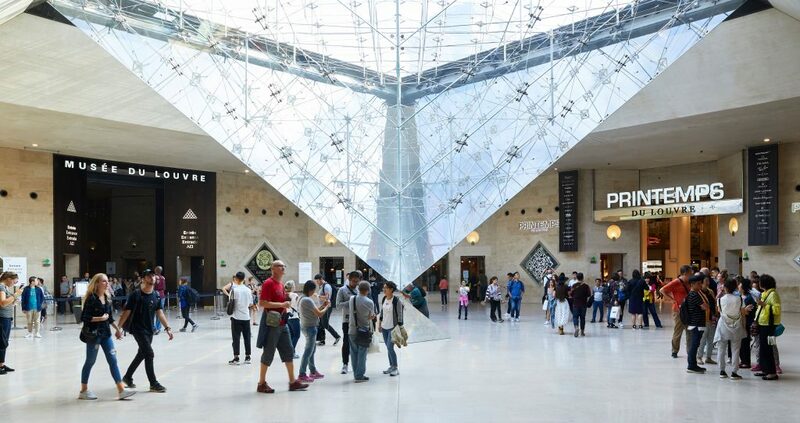 If you are planning to arrive by metro, the museum is serviced by stop ‘Palais-Royal Musée du Louvre’ on lines 1 and 7 and stop ‘Pyramides’ on line 14. 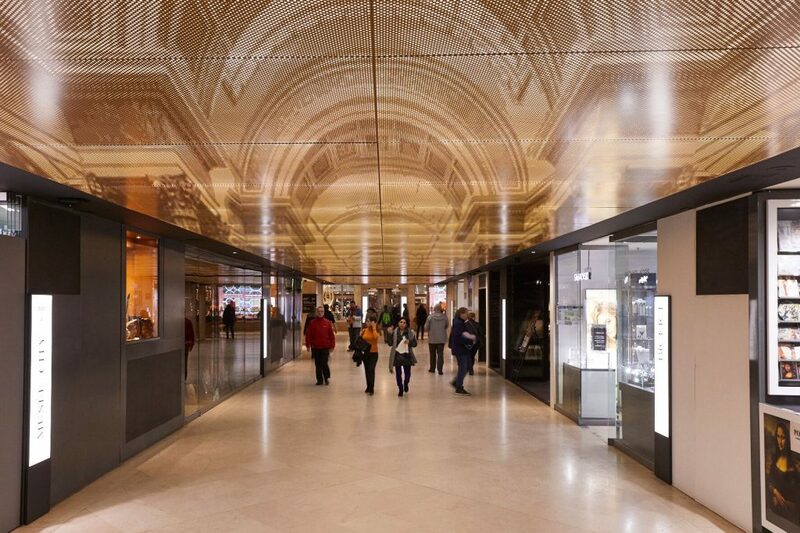 For drivers, there is underground parking available on Avenue du Général Lemonier open everyday from 7:00 a.m. to 11:00 p.m. For more information on Paris’s other great museums, check out our complete INSIDR Paris museums guide!